Located in the west of Kent little over 20 miles south east of central London, Sevenoaks is an affluent area that benefits from outstanding geographical strength. With a population of around 30,000 and status as a superb commuter town, the property market in Sevenoaks is booming. If you are looking to buy or sell property in Sevenoaks then you must instruct a lawyer to complete the legal work on your behalf. 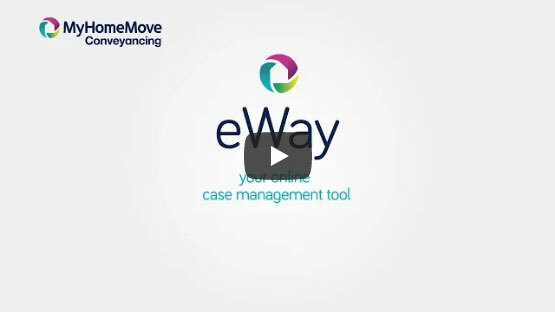 In selecting My Home Move Conveyancing you will receive the benefits of our award winning customer service, innovative use of technology and intimate knowledge of the local market. Our fixed fee conveyancing service comes with no extra hidden costs, meaning you’ll know exactly how much you’re going to pay from the outset. If for some reason you don’t end up moving, you won’t have to pay us a thing in legal fees. Each of our clients is assigned a dedicated conveyancer who will oversee your case from start to finish, regularly updating you on any progress and providing you with a consistent point of contact. At My Home Move Conveyancing we are proud to supply our conveyancing service to homebuyers across the Sevenoaks area, from epicentral Knole to sought-after Southside and more affordable Borough Green. The average house price in Kent is £222,404. During the past year the overall average sale price in Sevenoaks was substantially higher than this at £590,219. Detached properties were most popular in terms of volume, selling for an average of £1,005,789. Terraces also sold well, going for an average of £372,533, while flats an semi-detached properties sold an almost identical amount, fetching £326,291 and £494,059 respectively. Sevenoaks was named a market town in the 13th century, while the construction of the majestic Knole House in the late 15th century brought further development to the area. The geography of Sevenoaks is a major factor in its appeal, beautifully set and offering instant access to the North Downs in addition to the 1,000 acre Knole Park. Then, of course, there is the proximity to London and its attraction as a commuter town. There are plenty of direct rail services from Sevenoaks’ two train stations to the capital’s Charing Cross and Cannon Street stations, which take around half an hour. Sevenoaks is also located at the southeast corner of the M25 motorway, while the nearby M20 opens up coastal Folkestone. Gatwick Airport also offers favourable accessibility, lying just a 25 mile road journey away. Sevenoaks is renowned for its high volume of independent schools, with its eponymous offering one of the country’s most notable such establishments. Knole Academy is a mixed state secondary school, while Wrotham School and Walthamstow Hall are among the other options. Notable primary schools include Lady Boswell’s C of E, Amherst and Sevenoaks Primary School on Bradbourne Park Road. All properties in Sevenoaks will fall within one of the following council tax bands.